The Knitting Pirate » In Which the Pirate Acquires Roving. « In Which the Pirate Swatches. In Which the Pirate Acquires Roving. 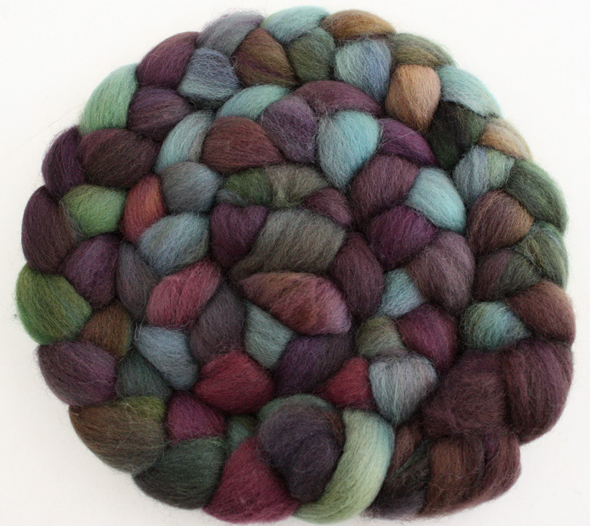 Last week I was admiring this gorgeous roving from FreckleFaceFibers on Etsy, 4.4 ounces of BFL. I emailed a link to Pirate-Husband just to say how beautiful it was, and added that I was tempted to break my yarn & fiber diet for it. (As if it's not broken enough!) Then I emailed the link to a number of other people. I couldn't decide if I should buy this one-of-a-kind piece of art, or come back after my diet for another of her lovely colorways. I kept going back to Etsy to look at it... and then someone else bought it. 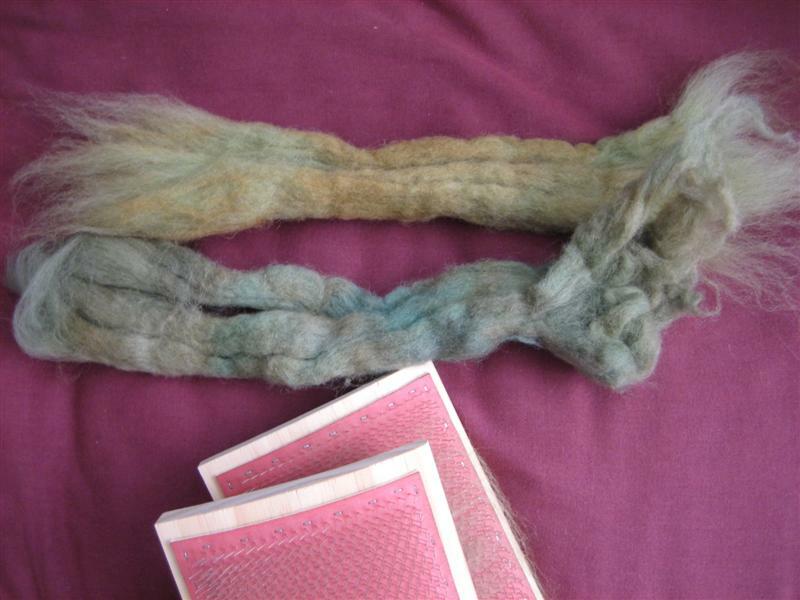 "Ah well," I sighed, and consoled myself with the idea of buying some roving dyed with herbs and stuff at Pennsic this year. I got some green wool there last year that totally matches my eyes, and it's all carded now and ready to go, but I want to be more confident with my ability to spin laceweight before I go near it. I'm also thinking that a half-dozen more bobbins might be convenient to own, and perhaps the jumbo flyer arrangement to make plying easier? But then... Pirate-Husband came home last night with a package, a not-very-heavy paper envelope. "Open this," he said as nonchalantly as he could (which isn't very). "But it's addressed to you!" I protested, and he answered, "That's okay, my hands are full. Open it!" At that point I started to have a sneaking suspicion... and I was right! Pirate-Husband bought me the beautiful roving! See a full-size image of the beauty here, for all the texturey goodness. I am so grateful to Pirate-Husband; he bought this for me "just because." He's just that awesome. I did not take the picture of my new roving; I yoinked it from the product page on Etsy, and I am posting it here with the permission of FreckleFaceFibers. 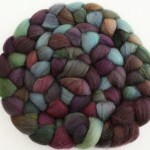 This entry was posted on Wednesday, July 23rd, 2008 at 09:33 and is filed under fiber, gifts, spinning, stash. You can follow any responses to this entry through the RSS 2.0 feed. Both comments and pings are currently closed.